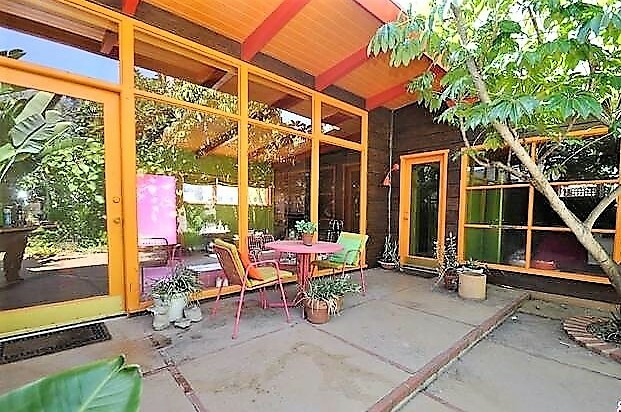 Neighbors of the mid-century Minnick House at 433 El Medio tried to get the house declared a Historic Cultural Monument. They formed the Minnick House Preservation Committee and hired Jenna Snow, a nomination preparer, to make sure the form submitted to the City of L.A. was done correctly. At a Cultural Heritage Commission (CHC) hearing on January 10, City Planning recommended against the application and the commission declined the preservation status. When neighbors returned home in late afternoon on January 10, after waiting downtown all day to make a plea for historical status, they received a registered letter, dated January 8, from Eitan Shacham of APH, Inc. The letter explained that Shacham had applied for a permit to excavate a basement for a new home at 433 El Medio. Neighbors said that in December, Shacham had posted a demolition notice on the fence (#18019-30000-05593) dated November 9, 2018. Ken Bernstein, manager in the City Planning Department for the Office of Historic Resources, explained that notices could go out earlier than the hearing, but the developer could not act on it until after a final hearing. Circling the News reached out to Lambert Giessinger, the preservation architect for that office, who had written the opinion given to City Planning and the Heritage Commission. We asked why the request for historical status had been turned down and was directed to Bernstein. Bernstein responded that the commissioners felt that the house was not an “outstanding or noteworthy” example of mid-century modern. Back patio of the Minnick house shows the floor to ceiling windows that connected the outside with the living room and master bedroom. 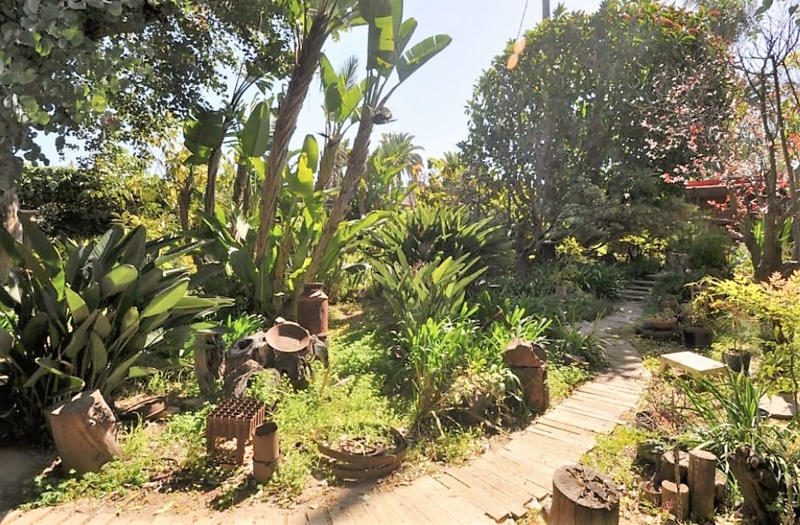 The one-story, two-bedroom, one-bath, 1140-sq.-ft. structure that sits on an 8,840-sq.-ft. lot, within a block of the Alisomar bluff, was built in 1950. The only modification to the home was a roof replacement in 2003. Patricia Minnick, who died in January 2018, was the sole owner of the home, with no children and no heirs. Although the Cultural Heritage Commission felt it was not noteworthy, other experts felt differently. Marcello Vavala, preservation associate with the Los Angeles Conservancy, responded in a January 29 email to CTN. “We believe the Minnick House is historically significant and urged the Cultural Heritage Commission to take the nomination under consideration at the hearing on January 10. The Conservancy also provided neighborhood advocates extensive technical assistance on various aspects of the landmark designation process and reached out to the local Council District office,” Vavala said. “The Minnick House is a very early and highly intact example of a modest, custom modern residence. It is quite distinct from the traditional and ranch styles that represent a large portion of the postwar housing stock, or architect-designed custom homes typically out of reach in size and cost for the average American. The house was surrounded by gardens. 3) Embodies the distinctive characteristics of a style, type, period, or method of construction; or represents a notable work of a master designer, builder, or architect whose individual genius influenced his or her age. Bernstein said that the Minnick home was considered under criteria 3. Bernstein said that the Minnick house had also not been identified in a 2013 Los Angeles Historic Resources Survey historical of Brentwood and Pacific Palisades (visit: preservation.lacity.org/surveyla-findings-and-report). In July when neighbors told neighbor Doreen Anderson–the executor of Minnick’s 2002 will and the recipient of $25,000 in that will “in appreciation for her special friendship”–that they were going to try to obtain a special designation for the house, Anderson hired lawyer Lisa Alexander of Jackle & Alexander. The neighbors had to hire a lawyer in order to fight for the preservation. “Pat [Minnick] used to tell me at least a half dozen times that she didn’t want the house torn down,” said Nancy Branch, who lives kitty-corner across the street from the Minnick house. When Minnick broke her hip two years ago, Branch used to visit her and help with meals. But, both Branch and Susan Karp told CTN that Matt Murphy was always there for Minnick and in the past few years said that Pat was thinking about leaving the house to him (he received money in the will dated 2002). Branch said she was accused of pursuing the cultural status solely because she didn’t want a two-story home on the lot because it would block her view of the Santa Monica Mountains. CTN went to her home and the mountains were clearly in view—even if a larger home were to be built on that lot. The Historical Commission’s decision cannot be appealed. There is a provision in L.A. City Council rules that if a Councilman, in this case Mike Bonin, wants the Historical Commission to reconsider the decision, he can make that request, but it must be done within five Council Days. “It’s already been about three weeks,” said Bernstein, who was also asked about the Coastal Commission. He said construction plans for any new house on the property would have to go before that body, but this wouldn’t have anything to do with the Historical Commission findings. There was an extensive garden in the back yard of the Minnick House. Devastating and disappointing. One of my favorite houses in town. Thank you for sharing the photos so I could finally see what could not be seen from El Medio. Disgusted by the destruction. This is another example of original local architecture about to be lost to the bulldozer. I did hear the Minnick house would need a lot of TLC if it were to be saved. That’s not a surprise, given the house’s age and other issues. And Sue, the quotes in your Editor’s Note are exactly what I referred to during my futile attempt to get Caruso to honor the original architectural style of the buildings on Swarthmore that he was going to demolish. It’s an important style that developed organically in our area. Instead, as we see, he replaced it with his personal Fantasyland, with no regard to “time and place.” While the Caruso project was in the planning stages, the Swarthmore Avenue commercial district was deemed ineligible for historic status because some of the facades had changed over the years — facades which most likely could have been returned to their original look. A weak reason, certainly. At that point my husband looked at me and said “Forget it, Jake.” Of course, I didn’t forget it and continued the battle all the way through the final vote at City Hall. And though it opened months ago, I still wince involuntarily when I pass by Carusoville. Why didn’t she increase her offer to purchase it to the fair market value? The purchaser had a dollar limit if the house is to be scraped and a new one is to be built. Oh gee, that Editor’s Note about the 2013 Los Angeles Historic Resources Survey calling Swarthmore Avenue “an eligible historic district, that it stands out from surrounding development as a highly cohesive collection of mid-century retail commercial development.” Sad to know now, it was perched for demolition just a few years later and who knew it had this 2013 recommendation? Now we’ve lost the Minnick house and with it more of our creative history, the unique California style innovation in architecture that we should instead be proud of. Who knew about the “2013 Los Angeles Historic Resources Survey” and its concept of Swarthmore as an “eligible historic district”? Could we have saved what I have always considered the “heart of our community” from being taken away from us? Swarthmore was in need of updating, and even Mr. Caruso wanted just that I believe, not the total demolition of the street and the entire area . Some fellow citizens with loud voices have changed his mind about his original vision of the area., and now we have to live with the results of their interference. I too cringe whenever I walk by or through Carusoville. It is NOT Palisades Village, THAT would encompass all of our business district, from Carey to Via de la Paz and Bowdoin to Monument.